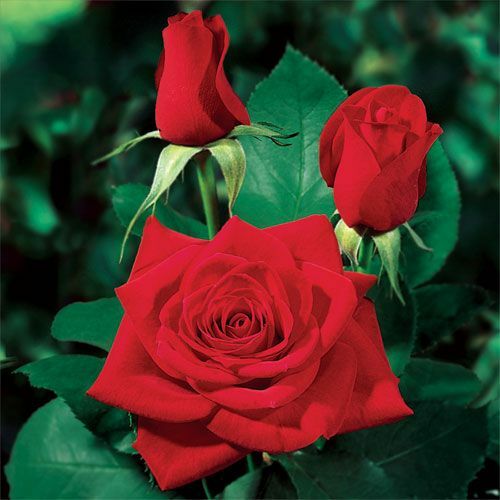 Roses come in almost every color imaginable – red, pink, white, and yellow – just to name a few. Growing and sharing your roses can be one of the most satisfying things about gardening. Rose bouquets are popular gifts for Valentine’s Day, birthdays, anniversaries, and so many other special occasions in between. Did you know that every rose color has a meaning? It’s the color language of the rose! Make a more personalized statement by coordinating the color of the rose with the message that you wish to portray to the recipient. Red = Love and Romance : Although you probably could have guessed this one, the red rose represents true love. It has appeared throughout history as a token of love and affection. A red rose is perfect for a date, anniversary, or other special relationship occasion! Yellow = Friendship, Joy, Get Well : the color yellow is often associated with the sun, which makes yellow roses perfect for brightening someones day. Send them as a favor of friendship on a birthday, to a new mother to celebrate the new bundle of joy, or to an ailing family member to brighten their day. Purple = Enchantment, Majesty, Love at First Sight : the color purple has long been used in association with royalty. Give these to that special someone to show how enchanted you are by them. Since purple is such an enticing color, they are sure to be enchanted by you, too! Pink = Love, Gratitude, Appreciation : much like the red rose, pink roses are often given as a sign of love and affection. Dark pink roses are often used as a sign of gratitude and appreciation – a great way to say “thank you”. Light pink roses are often used to express gentleness and admiration, or even an expression of sympathy. Give a bouquet of pink roses to your hardworking secretary or as a Mother’s Day gift. White = Purity, Innocence, Sympathy, Spirituality : known most commonly as the bridal rose, the white rose is often used at weddings as white represents unity and virtue. 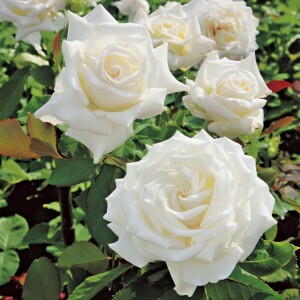 White roses are often associated with honor and reverence, so they are often given as a favor of sympathy. Orange/Coral = Desire Enthusiasm, Passion : their bright color is sure to bring a smile to anyone you give an orange rose to! Perfect to show enthusiasm for an event, a friend on their birthday, or even a hostess gift to brighten up their home.